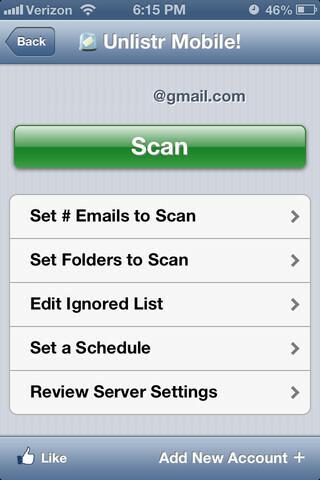 Unlistr Profor iPhone, developed by Chaos Doctor, offers a safe way for you to scan and unsubscribe from spam and newsletters in bulk. With the capability to scan 1,000 messages at a time, this powerful tool is worth investing a couple of bucks on. True, penny pinchers might want to try the free version of Unlistr before upgrading to Unlistr Pro, but there are some very good reasons for upgrading to the paid version. 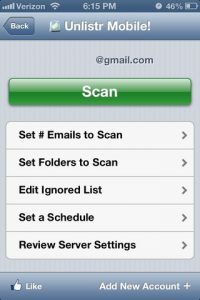 For example, the free version can only handle scanning 50 messages at a time, rather than the 1,000 message limit in Unlistr Pro. Additionally, the free version can’t scan labels or sub-folders, scan multiple accounts or schedule ongoing scans at regular intervals. Worried about security? You needn’t be. 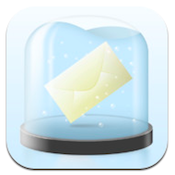 Unlistr Pro installs as a LOCAL email client app on your iPhone. There are no dubious APIs or third party servers to process your username, password or email, keeping your personal data safe. 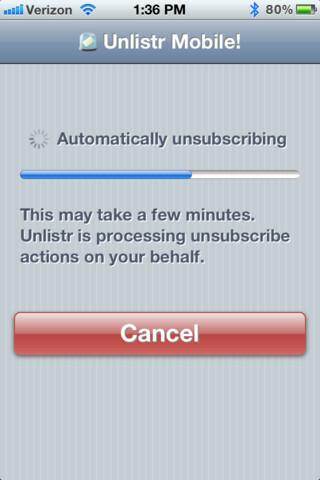 Version 1.2 of Unlistr Pro includes some bug fixes, as well as some new features. 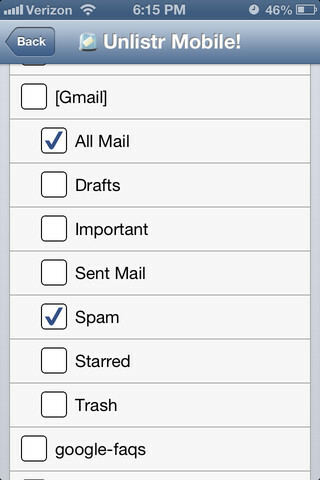 In addition to scan optimization, you can manage the folders/labels within your email including spam/Junk mail folders. On top of that, there are some @mac and @me presets that might find useful. 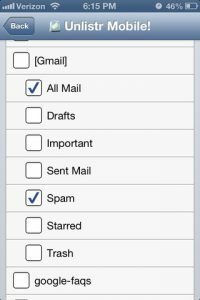 Unlistr Pro connects to any POP3/IMAP account. In addition to @me, @mac, accounts at @hotmail, @live, @gmail, @yahoo, @rocketmail, @me.com and @ymail are also supported with ease. If you want to reduce all the inbox clutter you get from newsletters, retailer ads, advertisement listservs, shopping websites, and just plain spam, Unlistr Pro takes the hassle and stress out of the process. 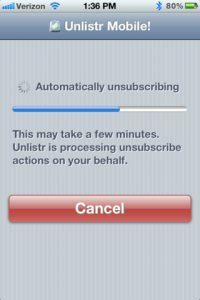 Unlistr Prois compatible with iPhone, iPod touch, and iPad. Requires iOS 4.3 or later. A small expedite fee was paid by the developer to speed up the publication of this iPhone app review.